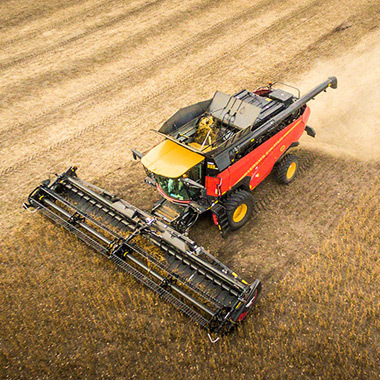 Rotating Concave Rotary - The rotor threshing system used on the Versatile RT520 combine makes the combine particularly productive when used on high-yield fields or in tough conditions. The Rotating Concave Rotary system eliminates the traditional “dead zone” found in typical rotary systems. The grain is threshed three times in each rotation, which increases throughput and ultimately provides a cleaner grain sample. The moving concave is self-cleaning. 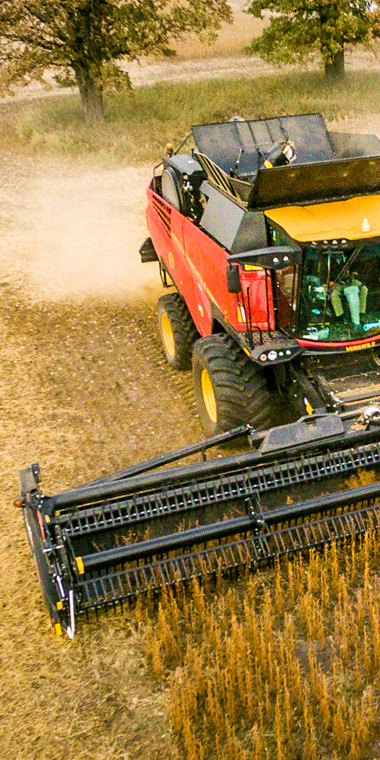 The rotor system allows the RT520 to be more productive than the competition in difficult crop conditions and in high-yield fields. Rotating Concave Advantages In rotary combines with a stationary concave the concave area is not fully utilized which reduces the productivity parameters and causes concave clogging in its upper section due to the “dead zone.” The concave on the Versatile RT520 combine, rotating in the direction opposite to the rotor, ensures that the entire thresher/separator area is utilized. Such rotation prevents the twisting into a strand and provides for concave self-cleaning. Three-Point Threshing System The concave has three threshing sections allowing the threshing gap to be set in one cross-section. 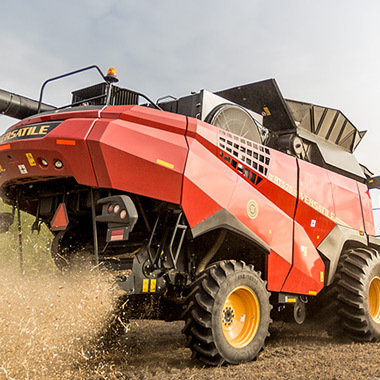 As a result, the crop is threshed three times during one rotor revolution, in contrast with the one-time threshing in traditional rotor designs. This design provides for operation with increased threshing gaps, high-quality threshing and grain separation over the entire diameter. 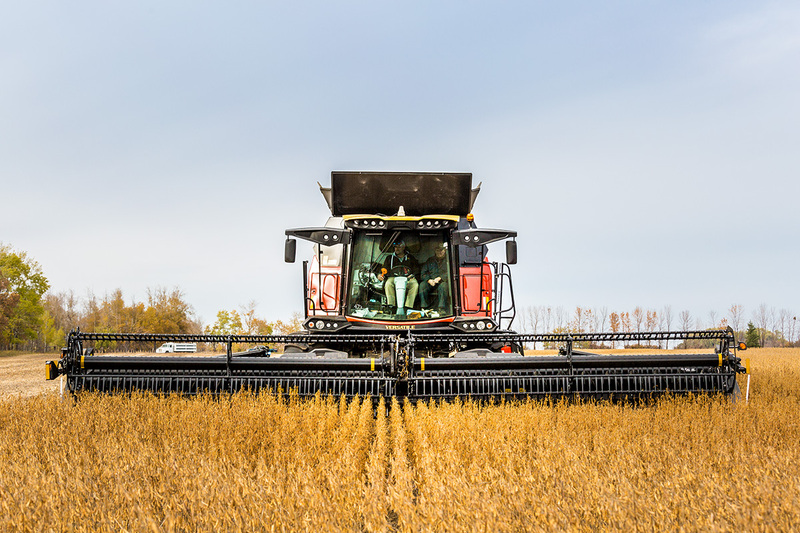 The Versatile RT520 combine cabin is 30% larger than previous models with significantly improved noise isolation. 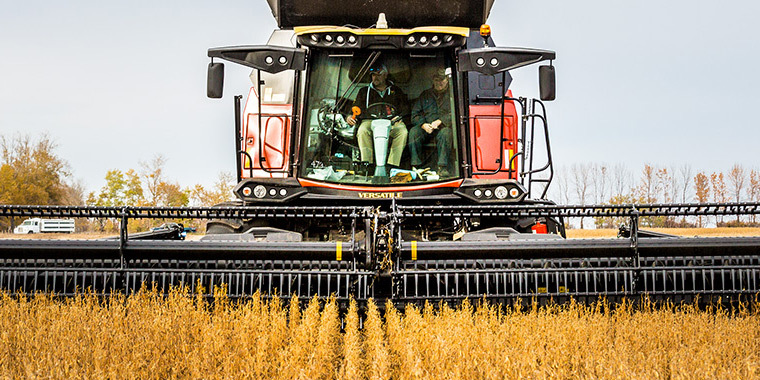 The larger glass area and panoramic widows create an excellent view during harvesting. 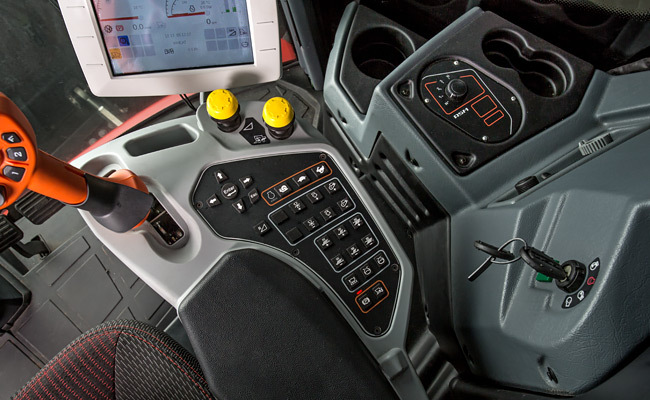 A standard training seat, air-conditioning, and sun visor also help improve operator comfort during those long working days. The smart computer aids in adjusting the settings to ensure the right performance at the right time. 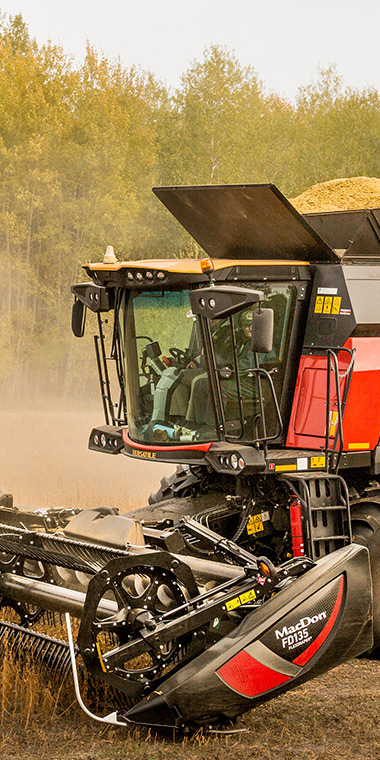 The simple and logical layout allows for intuitive control of all the combine functions. The smart computer also increases productivity by advising and guiding users in fixing any settings issues which ultimately reduces the learning curve. 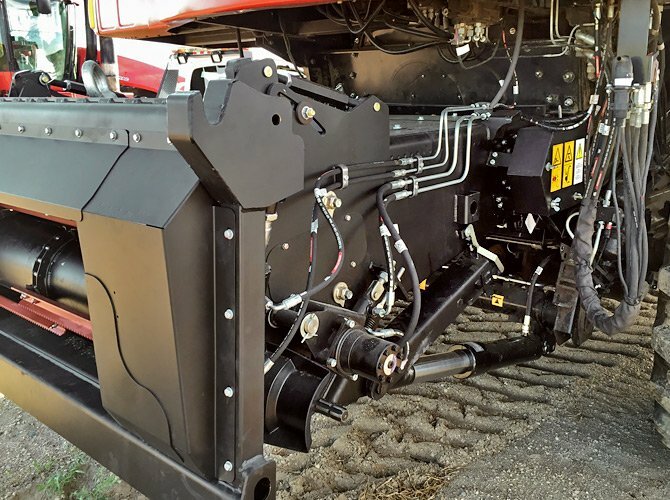 Feeder Housing - The Versatile RT520 has chain feeder housing which allows for greater feeding capacity and even feeding to the threshing system. Stone Protection - The RT520 has a large stone trap to protect critical components. The rock trap can be cleaned out easily with the handle on the left hand side of the feeder housing. 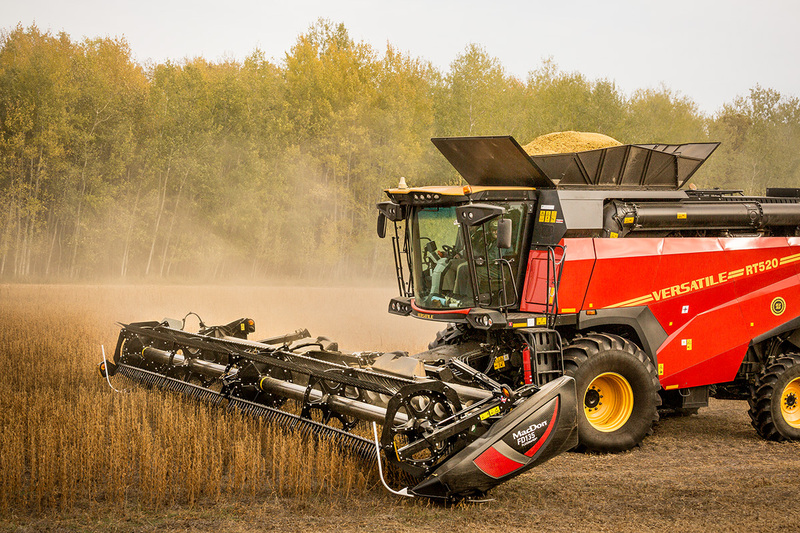 The cleaning system used in the Versatile RT520 combine is designed to accommodate the large rotor throughput capacity. 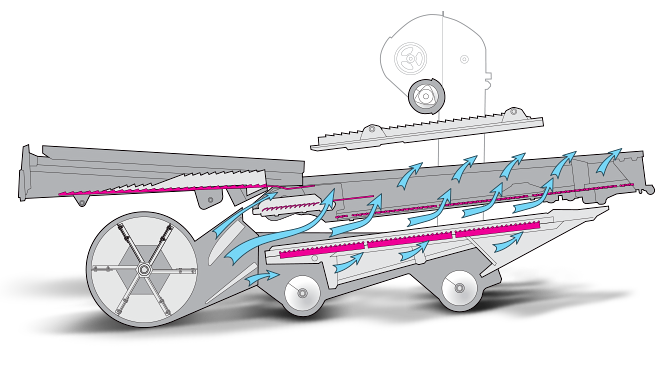 The cleaning process is split into two-stages with an additional stage provided in the form of an advance sieve. The shaker pan and lower sieve move in one direction, and the massive 1component of the upper sieve moves in the opposite direction. 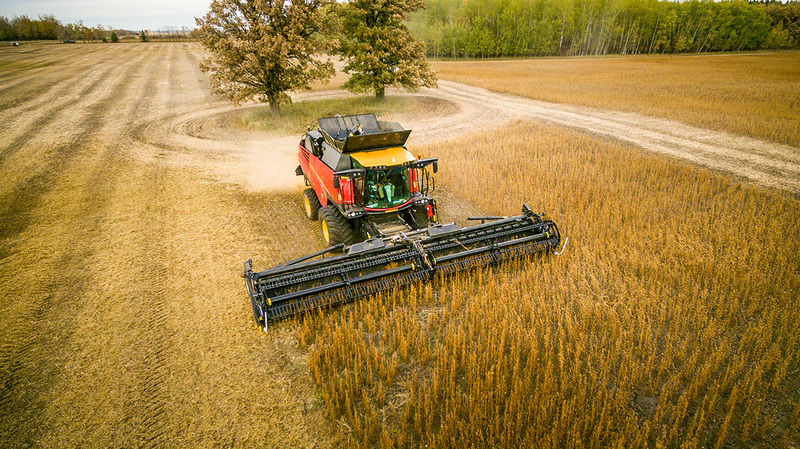 A Tier 4 Cummins QSG engine powers the Versatile RT520.The engine offers 520 horsepower which can provide ample power to harvest in any crop conditions. 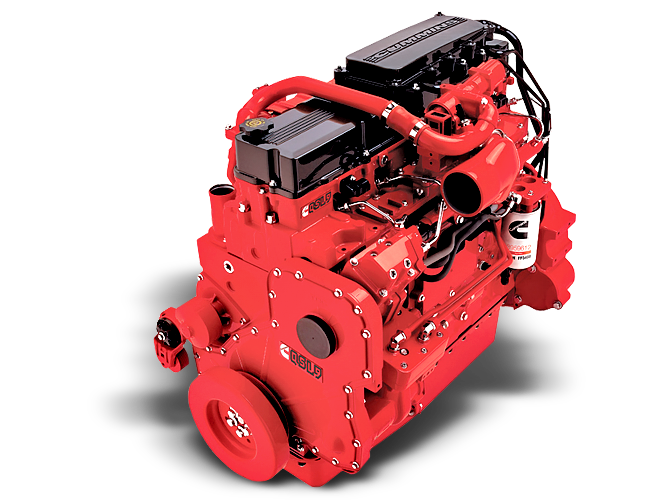 The QSG12 12L engine incorporates the Cummins-patented Variable Geometry Turbocharger to improve fuel economy and help control emissions. 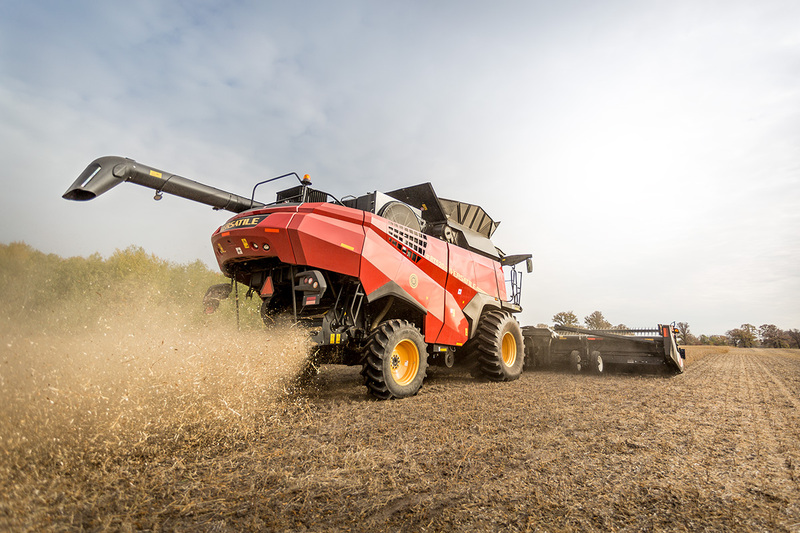 The Versatile RT520 has a grain tank capable of unloading 340 bushels in less than two minutes. A large observation window and a cab platform window give the operator two viewpoints into the grain tank. 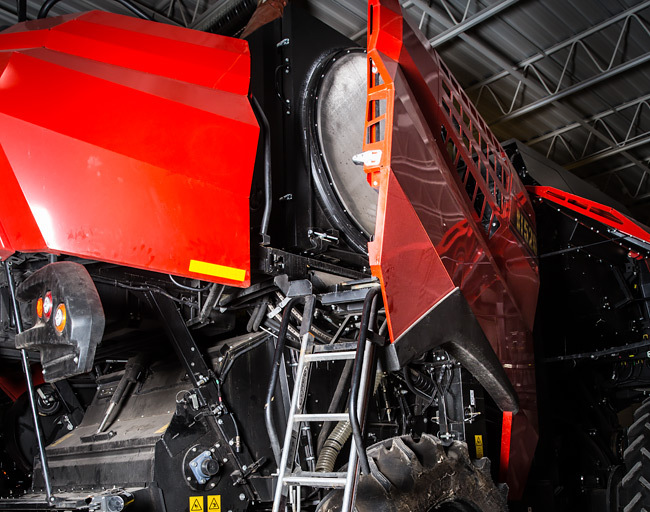 The grain tank roof can be controlled from the cab to switch from working mode to transport or storage. Two horizontal augers set at different heights feed grain into the grain tank to prevent start overload. 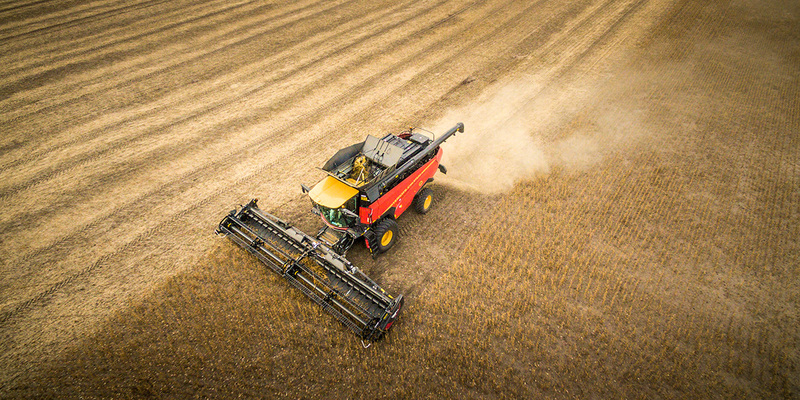 The RT520 is equipped with an integrated straw chopper and spreader that shreds the straw arriving from the rotor and chaff from the cleaning system. Straw and chaff are uniformly cut and spread or placed in a swath. Versatile is known for building equipment that is easy to service and maintain. The Versatile RT520 carries on this legacy with belt or chain repairs being possible in as little as 25 minutes. The RT520 also comes equipped with a large access area to critical components in order to help reduce daily maintenance downtime.